Lasso of Truth: This one I have seen multiple times. I still enjoy it. It is realistic and grounded. MOS is shot in a way that makes you feel like you're there. It feels like it could be a part of Nolan’s Dark Knight universe. 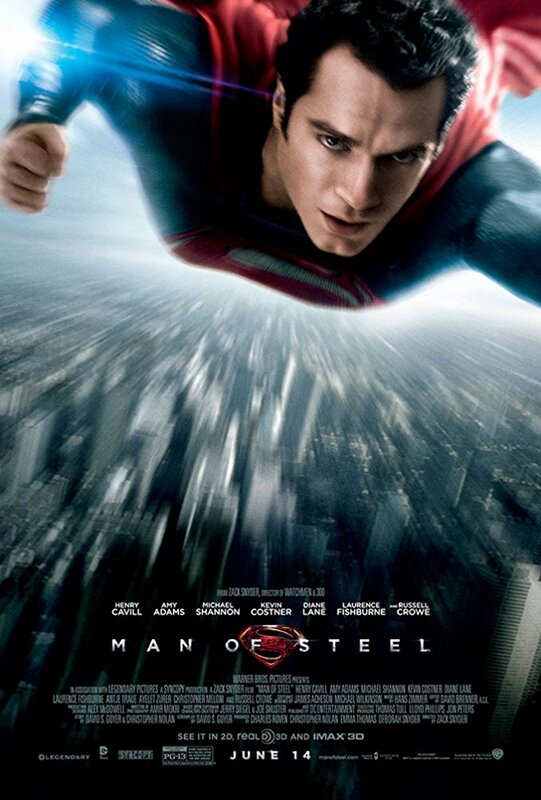 They picked the right name for the film, Man of Steel , because this movie isn’t about the alien superhero, it’s about the man, about Clark, and what it takes for him to become the hero we all know. It’s a piece about what it means to be human. Cavill and Adams kill it. It’s a movie about adults for adults. They aren’t trying to appeal to kids in the way other superhero franchises might. Kryptonite: The pacing is a bit slow. And the product placement is terrible. They go to an IHOP at least 3 times and crash into a Sears and 7/11. The Riddler: Does Martha Kent work for Sears? In a scene she is wearing a Sears laniard and a Sears polo shirt. Why? How much time passes after Zod’s defeat and when Clark goes to work at the Daily Planet? Because Metropolis got destroyed, including the Planet, yet Clark is at work by the end. Lasso of Truth: I heard different opinions about which cut of this film to watch, so I took it to folks over at the DC reddit. Unanimously I was told to watch the Ultimate Edition. I did just that. When I saw the theatrical cut in theaters I remember never caring to see this film again. After seeing the Ultimate Edition I enjoyed this film. Lex is great. He is the conductor of the Wayne/Kent orchestra. I grew up with Smallville so I’m used to a different portrayal of Lex. Eisenberg’s performance reminds me to the Ledger Joker in his brilliance as a mastermind. But take that Joker, give him a ton of money and make him high strung like he’s on cocaine and you have this Lex. I dug it. Kryptonite: I think the title is misleading because the two heroes hardly fight, which is what people were expecting. When they do it’s great, but it happens twice briefly. They stop because their moms have the same name. What? After 2.5 hours the quick hero smash up ends because mom names, and now Batman suddenly doesn’t hate Superman? Weak. This movie feels like 3 hours. It focuses on political issues, which isn’t necessarily a bad thing, but does bog the film down. The last weak bit for me is the superfriends gifs Wonder Woman watches. I like when they show the hero symbols—a hint, a tease to keep it interesting. Then they overdue it showing the little clips of each new character as if audiences don’t know The Flash is fast or that Aquaman swims. The Riddler: I honestly don’t know the answer to this, was Wayne’s mom always named Martha? Is Superman’s true identity easy to discover or is he terrible at hiding it? Two movies, two people find out who he is, except Bruce Wayne (but then he’d have found out about Martha too early). Look out for the new installment coming next week featuring the next two films on the path to Justice League . Keep on Creepin’ .